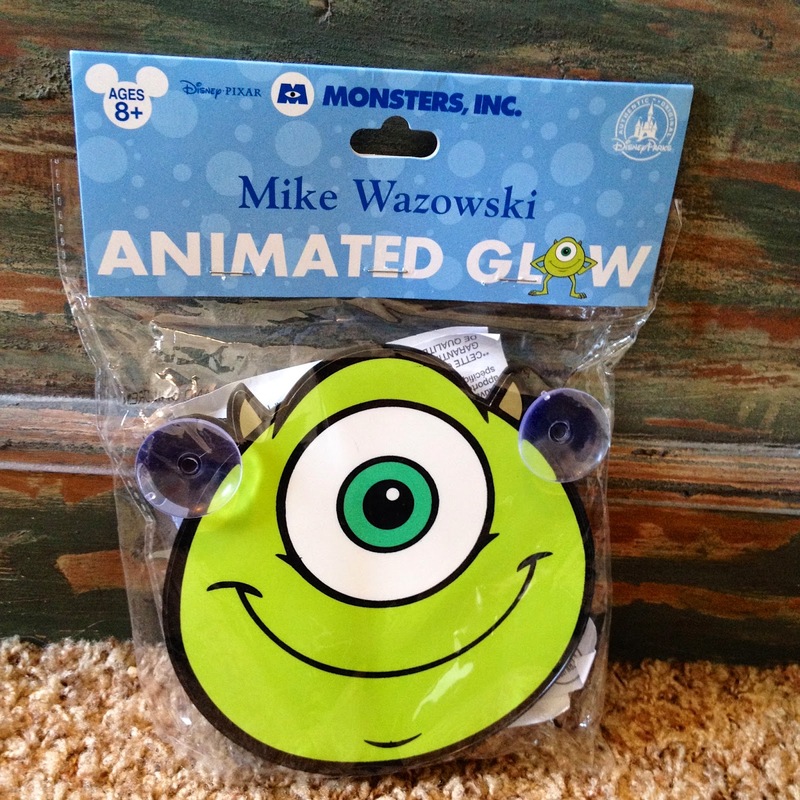 Here we have the Disney Parks exclusive "Animated Glow" Mike Wazowski! Back in May during our Disney World trip, my wife and I saw these just about every night while in the parks. You know those carts that get brought around to guests right before the fireworks each night in the Magic Kingdom? The ones with all the the glowing/light up merchandise? That is where we first saw this. I thought, "hey, that's pretty cool!" My wife Brita saw that I liked it and put it on her secret list of birthday presents to get me. She was able to snag this at the World of Disney store at Downtown Disney. What an awesome surprise! The two modes: One makes Mike's mouth open and close and the other adds Mike's eye blinking. So this thing is pretty fun and cute. However, I do have some confusion with it. 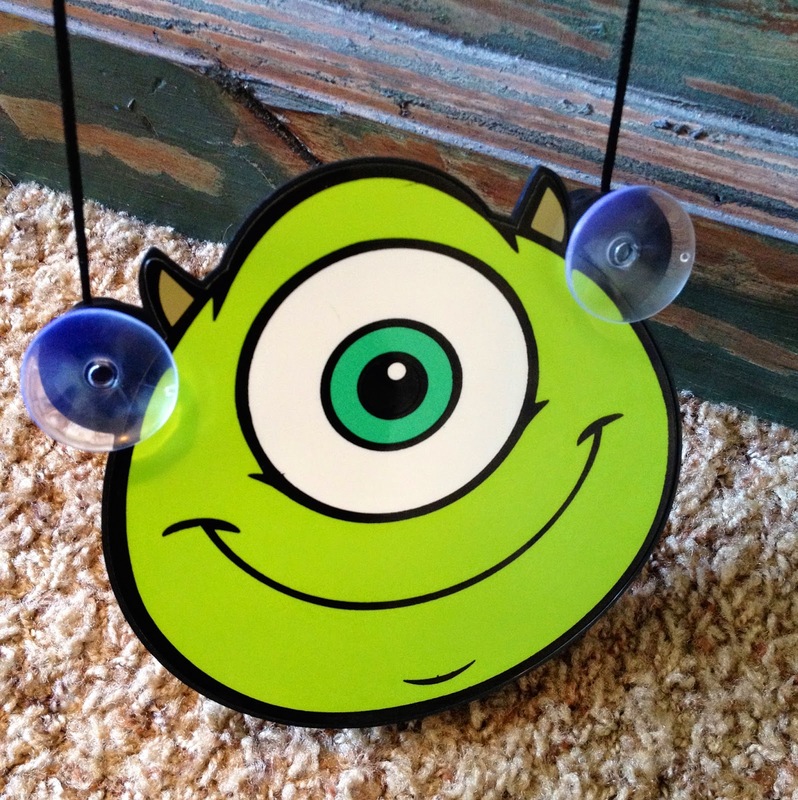 First of all, it says in the very un-detailed instructions that the suction cups are removable and reversible, depending on which way you want Mike facing. I desperately tried to take them off to put them on facing the back so I could hang it up on a window. That way, it would be facing toward inside, rather than out. I had no luck taking them off. I pulled and pulled and pulled and even used a pair of pliers. 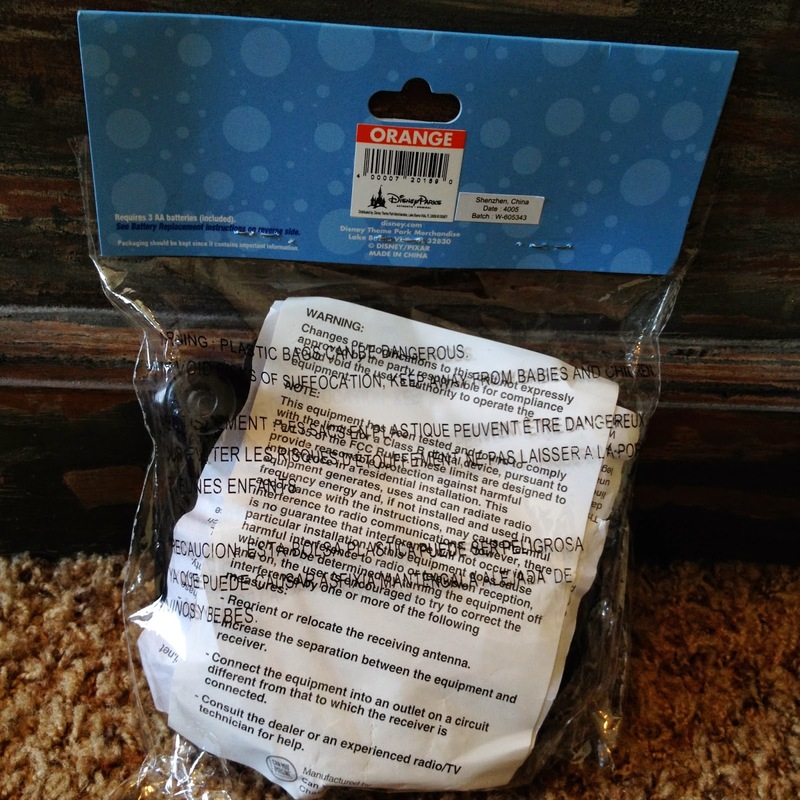 If any of my readers have this product, were you able to successfully take off the suction cups? Let me know how in an email or the comments! Additionally, I'm also a bit confused why it makes such an annoying high pitched beeping sound when the power is turned on and Mike is lighting up. I don't know what that sound is there for, but it's not a defect. I looked up other reviews of this product and other people have said the same thing. It seems like this toys could have been produced without that sound? You can see this Mike in action (and hear the sound that I'm referring to) in the video below. Thanks for dropping by the blog, as usual. If you like what you see, be sure to check back daily for more! Please email me if you have any questions, comments or suggestions.